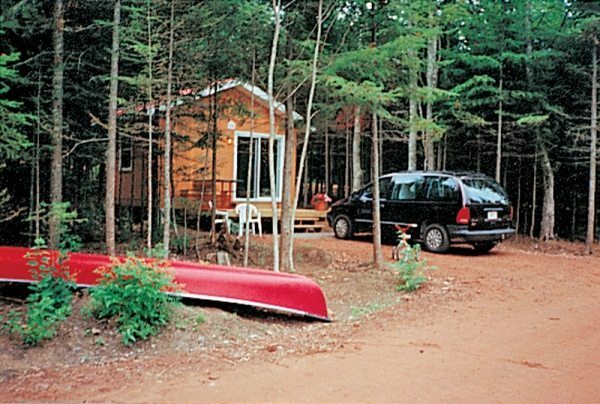 Campground is carved into a sheltered southern sloped hardwood forest. Bordered by a quiet tree lined farm road that leads to a fishing pond. We offer cozy camp cabins, private tent sites and three-way sites that can accommodate all sizes of RVs (30 & 50 amp, some pull-thrus). Specializing in relaxed quiet camping, clean quality facilities, no mosquito issue, safe environment and personal service to our guests. 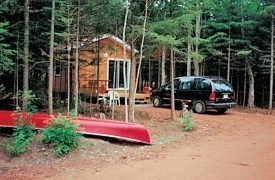 Heated salt water pool, playground, campfire pits, immaculate washroom, free showers, common kitchen, laundromat, campstore,walking trails,canoe & kayak rentals. Make this central location your home and tour the entire Island (minutes to beaches, golfing, ceilidhs, restaurants, great sightseeing) Cyclists welcome. Unserviced Site: 5 u. Daily $30-45(1-2). 3 Way (water, electrical, sewage hookup): 15 3w. Daily $35-60(1-2).